James Cameron now it is building on the sequels "Avatar", But this is not the only long-awaited project that the famous director is preparing to hire. 3 January 2019, we will see in Russia a fantastic action movie Robert Rodriguez «Alita: Battle Angel", Which Cameron composed and produced. The Hollywood maitreer worked for almost twenty years on a film based on a Japanese comic book. Now that the public is presented with a new spectacular trailer of a multi-million blockbuster, we decided to briefly tell about "Alita", in advance to prepare you for one of the most grandiose premiers of next year. 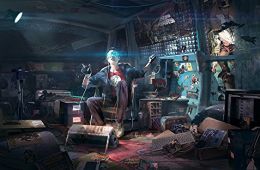 When we think about cyberpunk, we usually think of American books and Hollywood paintings. 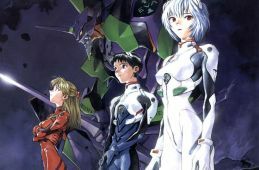 However, it seems that no one in the world took the idea of ​​gloomy fiction about computer networks and cyborgs with such enthusiasm as the Japanese creators of comics and cartoons. Why did this happen? We will not go into the broad question, for the answer to which one could write a whole book. Just state: in Japan 1980-x cyberpunk came into fashion, and the market poured works on this topic. In particular, cyberpunk stories were from a number of then-cartoons created for sale on video and intended for a more adult audience than television animated series. Among others in 1993 was released a two-episode video series Ganmu (literally "Dreams of weapons"), Created by the famous studio Madhouse. Like many projects of this kind, it was an advertisement for a popular comic cycle. Director Hiroshi Fukutomi turned the first two volumes of the comic book of Yukito Kishiro into a completed hour-long narrative. Those wishing to know more were invited to buy and read Ganmu on paper. In just two years, at 1995, the Ganmu comic strip and the video series were released in the United States under the titles Battle Angel Alita and Battle Angel, respectively. For that time, such renaming was common practice. The publishers tried to come up with the most fascinating names in terms of their view of the market. Actually, the heroine of Kishiro's comic book was not Alita. The lost cyborg girl received a name in honor of the cat that belonged to the animated heroine cyberexpert Daisuke Ido. The cat was a male, and his name was Harry or Gallie (the Japanese do not distinguish the sounds of "p" and "l"). It was one of the comics jokes - a girl with a man's name. American comics interpreters decided that in their country "Harry's girl" would be too strange, and they renamed the heroine to Alita, taking the first beautiful and unusual name that came across. Translators cartoon so far did not go and just called the cyborg Gallie. 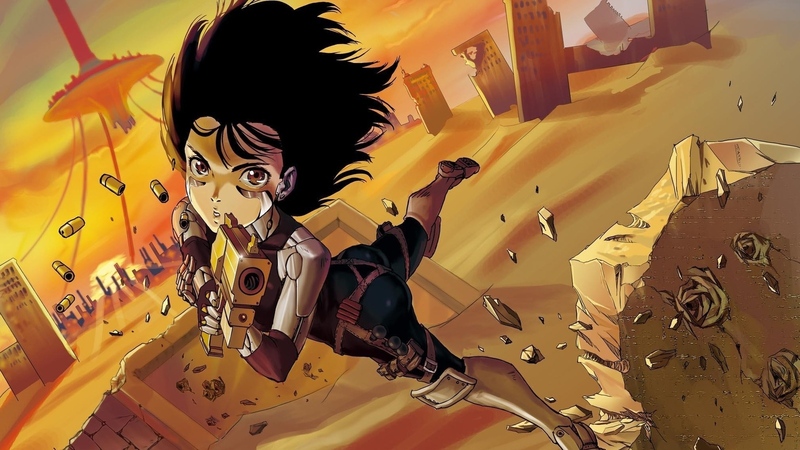 In Japan, the video series Ganmu was barely seen, but in America, which had just begun to watch Japanese cyberpunk, "Battle Angel" became a cult and thrilled many to read Japanese comic books. Very much the audience wanted to find out what other adventures await Galli-Alit. Kisiro invented a whole world of the XXVI century, in which the "high" civilization went to the sky (flying cities!) And into space, and the surface of the earth turned into a crime-dumping ground. Cyborgization has become ubiquitous, and some people are actually turned into robots. They have only human consciousness. All the rest are a sophisticated mechanism, more or less humanoid and sometimes supplemented with weapons. Alita is just a "full cyborg". In the story of the comic book Daisuke Ido finds her torso in the garbage, determines that the head is still working, and gives Alita a new mechanical body. 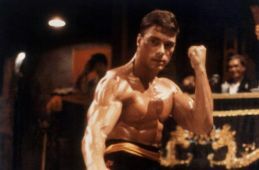 Recovering and a little accustomed, the heroine discovers that she does not remember anything about her past, but masterfully owns martial art. This allows Alita to compete on an equal footing with much more powerful creatures - in particular, with cyber-criminals, who are well paid for hunting. So begins the dramatic battle path of Alita, strewn with corpses of enemies and the bodies of friends. The heroine incessantly risks, trying to find its place in the world and find out where it came from. This is a tough and exciting adventure, which at the end of 1990-x fascinated the very James Cameron. 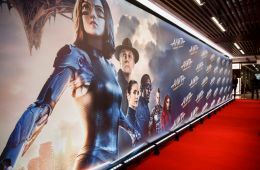 Producer "Terminator","Strangers"And"Titanic"Learned about the existence of" Alita "from his colleague Guillermo del Toro, a big fan of Japanese comics and animation and the owner of a solid collection of both. Cameron was so impressed that he decided to turn Kishiro's comic book into a Hollywood blockbuster, and Fox immediately supported him, registering in 2000 the Internet domain for the advertising site of the future film. Shot from the film "Alita: Battle Angel"
The director himself wrote the script along with the screenwriter "Alexandra» Laeta Kalogridis. It was assumed that the shooting will begin in the middle of 2000. But then Cameron was carried away by the "Avatar", and "Alita" went to a long box. However, it seems that she won it. The film, conceived by the director, required the most complicated computer effects, which in 2000 have not yet reached the required level. 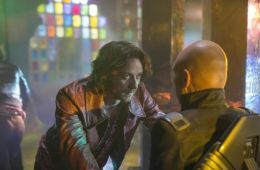 Cameron could launch with "Alita" after the release of "Avatar", but the record collections of the film in 2009 year demanded that the director return to the virtual Pandora for the filming of sequels. 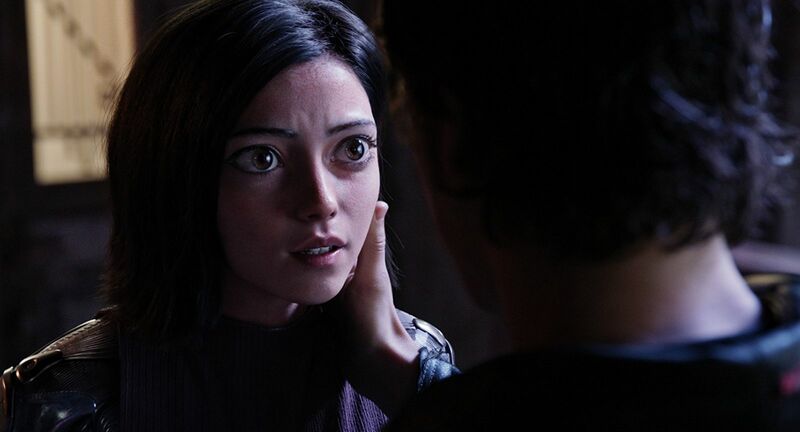 Cameron really wanted himself to shoot "Alita", and he hoped that he would do it when he finished the new "Avatars". 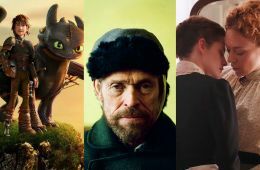 However, when the work on the films was protracted, the director reluctantly decided to transfer "Alyt" to a talented colleague and to keep only the chairs of the screenwriter and producer. In October 2015, Robert Rodriguez, creator of the "Desperate","From dusk to dawn"And"Spy Kids", As well as the director of"Sin City". Initially, Cameron attracted a colleague to reduce the three-hour scenario, which was attached 600-page selection of disparate thoughts and ideas. When Rodriguez helped bring the text into a divine form, Cameron liked working with him so much that he gave Rodriguez the director's chair. Shooting a picture with a huge budget of 200 million dollars passed from October 2016 to February 2017. Since then, the group is working on a huge volume of special effects, the main one of which is the title character. 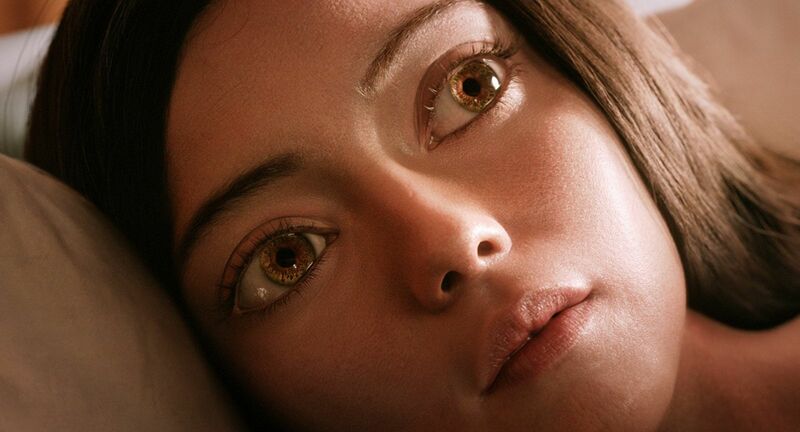 The steepness of the new screen Alita is that it is an extremely realistic computer image. Of course, we should not be surprised at the drawing characters, and we also saw the main drawing heroes - in the same "Avatar" or in the cycle "Planet of the Apes". But Alita is much more like a man than Pandora na'vi or intelligent monkeys. Her mechanical limbs move like ordinary hands, and her head differs from human only with unusually large eyes (reference to typical Japanese aesthetics). As you know, there is no more difficult artistic task than a convincing recreation of a person, because our eyes recognize the slightest inaccuracies. The team of Rodriguez and Cameron almost solved this problem. We have the right to talk about this, because we saw fragments of "Alita" not on the monitor, but on the screen of the cinema. The main character looks so good that you have to remind yourself that this is a special mirage, and not a real cyborg from the future. 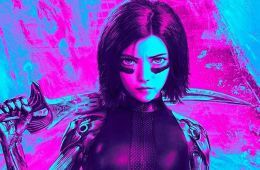 Alita's realism for the film is very important, because the movie will tell not only about the heroine's exploits, but also about her spiritual path. We will see how she is friends, how she falls in love, how she finds faith in herself, how she changes under the influence of circumstances ... If the picture does not convince viewers in the reality of Alita, then the audience will not be able to empathize with the girl. But it seems that for this Rodriguez can be calm - Alita is very reliable, charming and touching. By the way, in the film she looks older than in the animated series, where the heroine seemed a little girl and shocked when she started to fight. In the blockbuster, the transition is not so radical and more believable. It is clear that Alita is not alone. Like the author of the comics in the first volumes, the filmmakers built a futuristic city in the frame and populated it with ordinary people, ordinary cyborgs and nightmarish creatures, in which more from a monster than from a mechanized person. Mindfulness is sincere, and Alita goes to the screens first of all in order to fight to the death. And not only in the battles with the villains, but also on the field for the game "motorbol". In comics, this combination of roller skating and gladiatorial fights. So far we do not know how the motorbike will be portrayed in the cinema. But it is known that Cameron so wanted to show this sport that he wrote it in the script, although in comics Alita starts to engage in a motorbike after those events on which the film is based. The picture will have an American "teenage" rating of PG-13, but this should not be frightened. Violence against cyborgs and robots is rated by the rating agency not as biased as violence against people, so that Alita was allowed to be chopped not in a childlike way. The film would have a R rating if the heroine similarly cracked down on people. 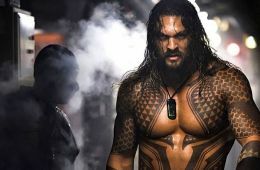 Of the famous actors in the tape are busy Christoph Waltz (he played the cybercode of Ido, who is now Dyson, not Daisuke), Jennifer Connelly, Maheršala Ali, Ed Skrein, Michelle Rodriguez и Jackie Earl Hailey. As you can see, this is not too stellar cinema, but bright performers are available. The main character with the technology of "capturing facial expressions and movements" was played by Rosa Salazar from the cycle of youth blockbusters "Running in the labyrinth». 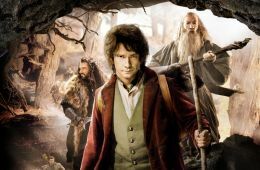 It is too early to discuss the commercial prospects of the tape and the likelihood that it will have sequels. But if the picture "goes down", then there will be no problems with the continuations. Material Kishiro composed a lot, and screen Alita can still wander the Earth and the solar system for a long time. There would be spectator love, but for the heroine will not rust. She's from the metal of the future! A new passage and posters action "Alita: Battle Angel"